Jamie’s practice includes all of Chambers’ practice areas, focussing around insolvency, trusts, commercial and civil fraud work. Jamie recently spent a month in late 2018 on secondment to Ogier’s offices in the Cayman Islands where he worked with Rachael Reynolds, Mark Kish and Ulrich Payne and their team on a number of international civil fraud, insolvency and contentious trusts matters. Acting for defendants in on-going £60m civil fraud proceedings in the Commercial Court alleging liability under foreign law for preventing the enforcement of a US$200m NAI arbitration award (with Jonathan Crow QC, Elspeth Talbot Rice QC and Graeme Halkerston) listed for trial estimated to last 3 weeks in July 2020. Acting for the claimant in on-going confidential LME arbitration proceedings seeking remedies including a multi-million pound award for breach of contractual delivery obligations (with Alan Gourgey QC and Bobby Friedman). As sole counsel successfully resisting in part an interim injunction, and obtaining fortification of the usual cross-undertaking, sought against respondent defendants to a claim brought by their tenant of commercial premises including allegations of fraud and claims for damages and lost profits in excess of half a million pounds. Jamie continues to act in this on-going matter with Tiffany Scott QC. Acting for the defendant appellants in the recently reported decision of Devoy-Williams v Hugh Cartwright & Amin  5 Costs L.R. 1105 concerning the relationship between a part 36 offer accepted 11 days after the proceedings were struck out for non-compliance with an unless order in circumstances that were found to be dishonest, and where that finding was made following ad hoc live evidence at an interim hearing (with John Wardell QC). 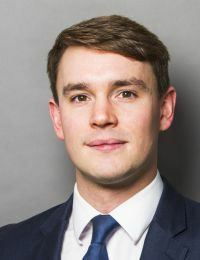 Acting for claimants in an 8-day trial in March 2018 in confidential US$60m ICC arbitration proceedings in Singapore, as part of an international team based in both Asia and the United States, concerning claims for breach of contract in relation to a petrochemical plant (with Graeme Halkerston). Acting for defendants to £13m civil fraud proceedings in 2017 in the Companies Court arising out of an insolvency (with Marcia Shekerdermian QC). Acting for Trustees in the pensions regulatory action concerning the Silentnight DB Scheme, which resulted in the reported decision of the Admin Court in Grace Bay II Holdings v The Pensions Regulator  Pens L.R. 7 (with Monica Carss-Frisk QC, Fraser Campbell and Jonathan Hilliard QC). Acting for defendants in banking proceedings in Leeds District Registry of the Chancery Division arising out a special administration pursuant to the Investment Bank Special Administration Regulations (with Nicholas Medcroft). Acting for foreign government claimants in civil fraud asset recovery proceedings in the Commercial Court, including seeking orders for preservation of assets and evidence (with David Phillips QC and Nikki Singla QC).